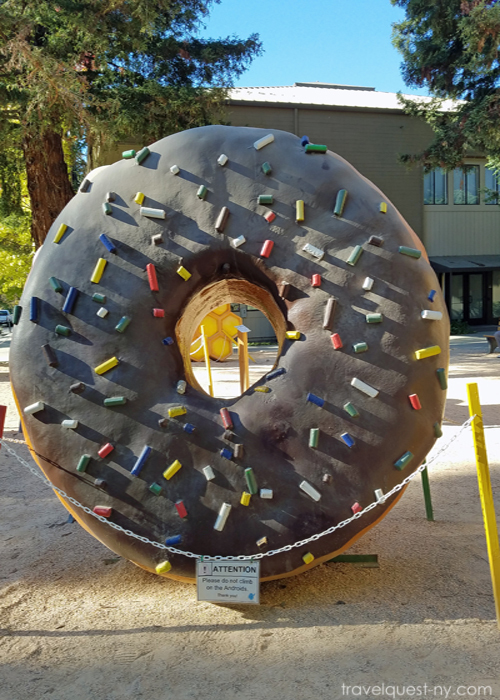 Google does a nice job of opening up it's Campus to tourists. If you're in the Mountain View area then it's worth checking for. 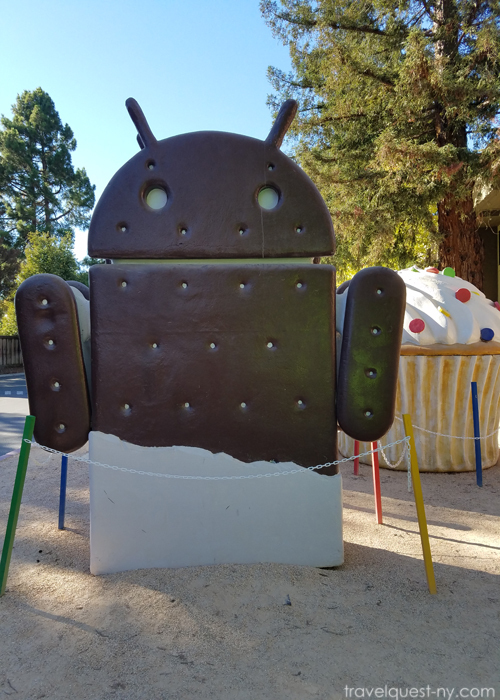 Very interesting place to see the different statues of Android operating systems developed over time. 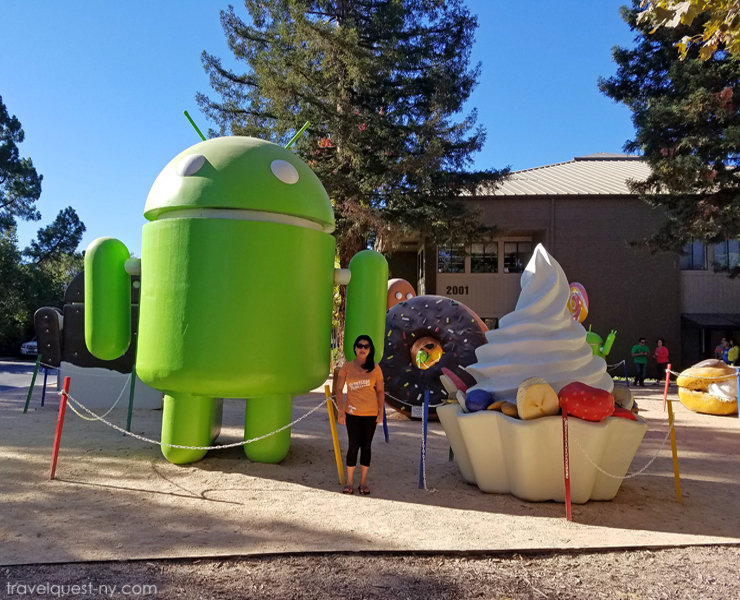 The Android statues is located a few blocks off the main Google campus. It's not that extensive, but it's definitely something neat to check out. To make it more interesting, try recognizing all the android versions. Also there is a souvenir store nearby. Make sure to take pictures of the giant pastry sculptures! 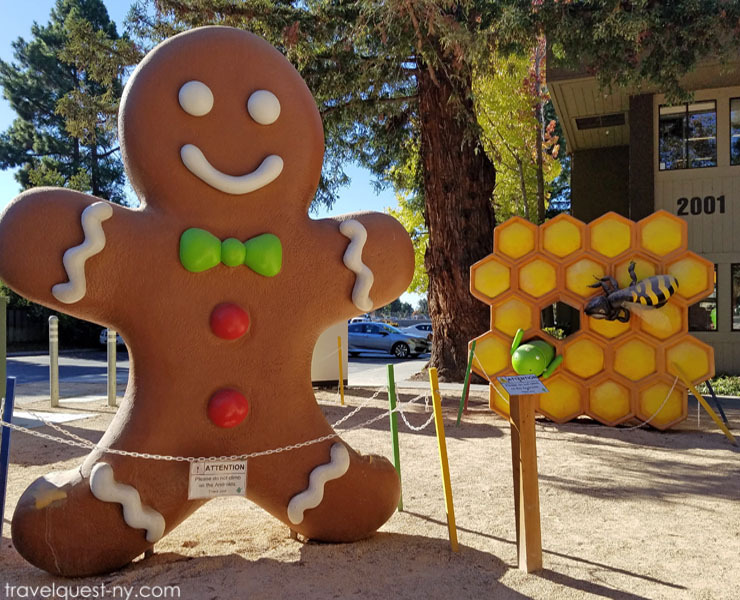 The statues are depictions of Google's operating systems. 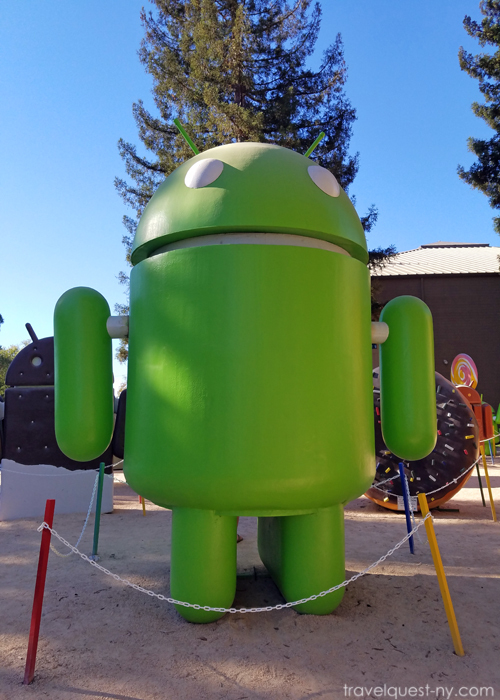 Great place to visit for all Android fan. 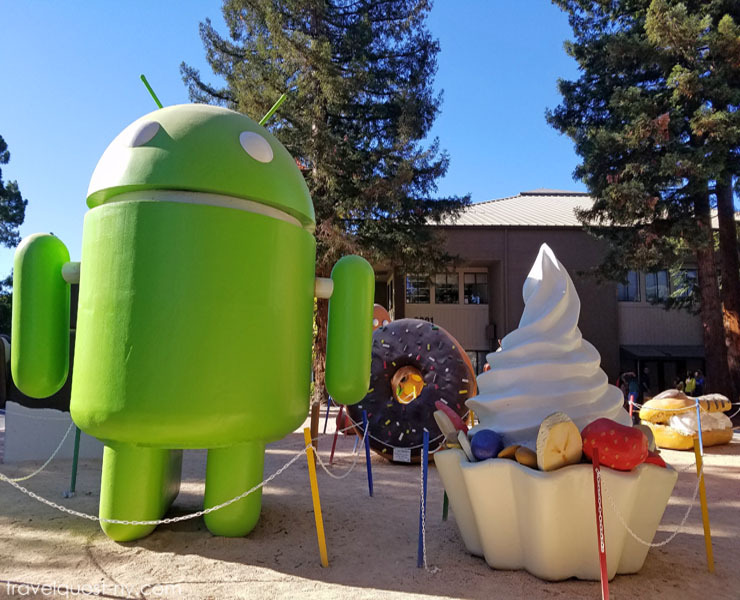 So cool to see the mascots of all Android versions in one place! 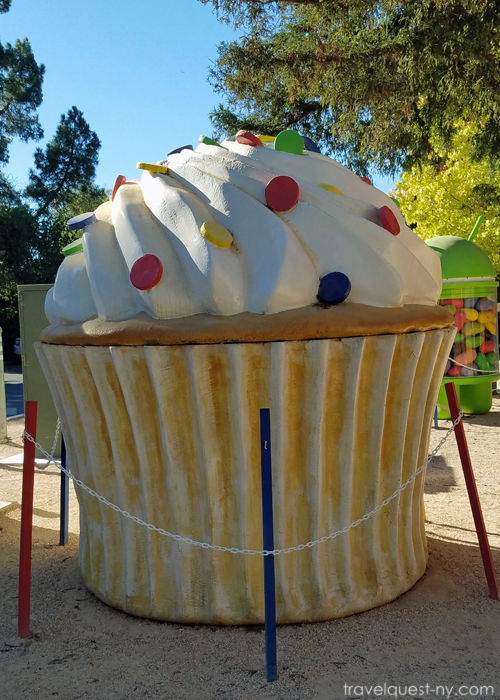 Huge life size of Android operating systems Cupcake, Donut, Eclair, Gingerbread, Honeycomb, Ice Cream Sandwich, Jelly Bean, Kitkat, Lollipop, Froyo and Marshmallow. Those are so cool! I always love it when it companies make their workplaces more fun. I could see coming to work every day and enjoying those fun statues. Thanks for sharing these photos. 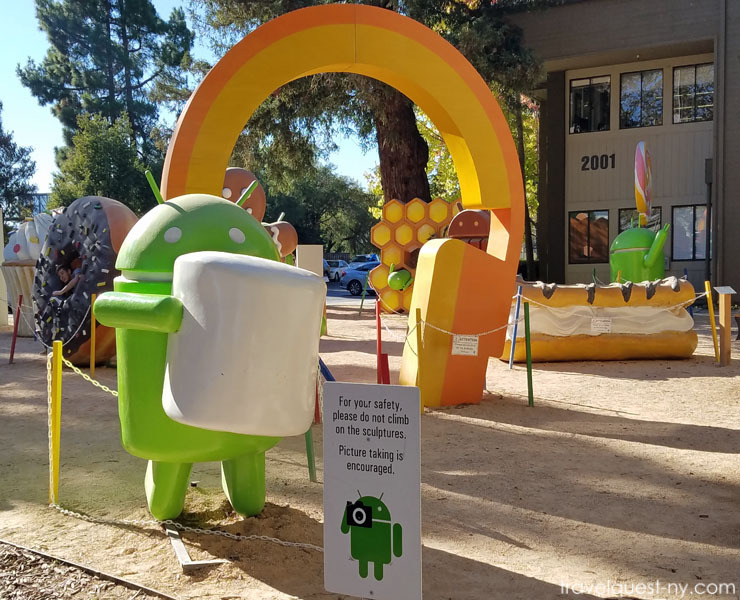 Those statues are awesome and exactly the sort of playful lawn decor I'd expect from a company like Google. I worked with Google quite a bit before I went freelance and it always seemed like a fun company that didn't take itself too seriously. I love the names they used for the OS on android and this just makes it that little more fun to actually have it out there. I knew exactly what everything was before I even started to read your post and that is a sign of really good marketing. Definitely suits the purpose and reflects a playful brand. Who wouldn't want to work here! What a neat little adventure! I'd love to visit and see all the statues and read all the signs! How fun to learn the code names for releases and more! Wow, these are amazing. I wouldn't even know where to get one of these made if I wanted.. They make great backdrops though. Oh my goodness...the cupcake and ice cream sandwich are my FAVES!! What a fun little spot to stop and visit. 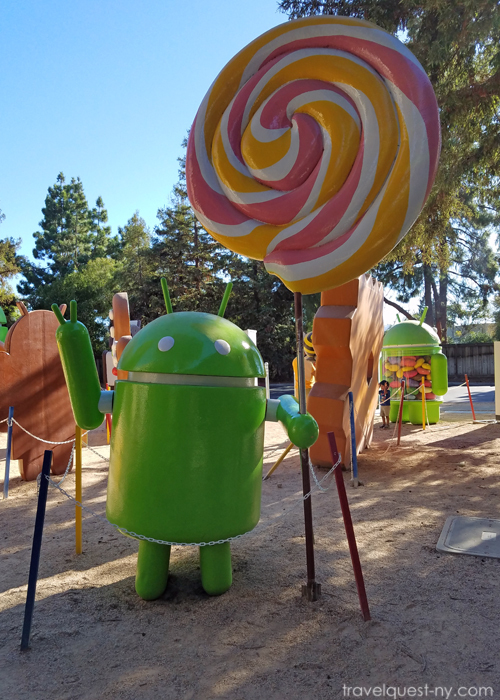 I think my kids would love seeing all of these Android statues for sure!! My oldest son would geek out at the Google Headquarters! He is a self-taught programmer and has always loved the names of Google's operating systems. I didn't know that they had these out front -- so fun! 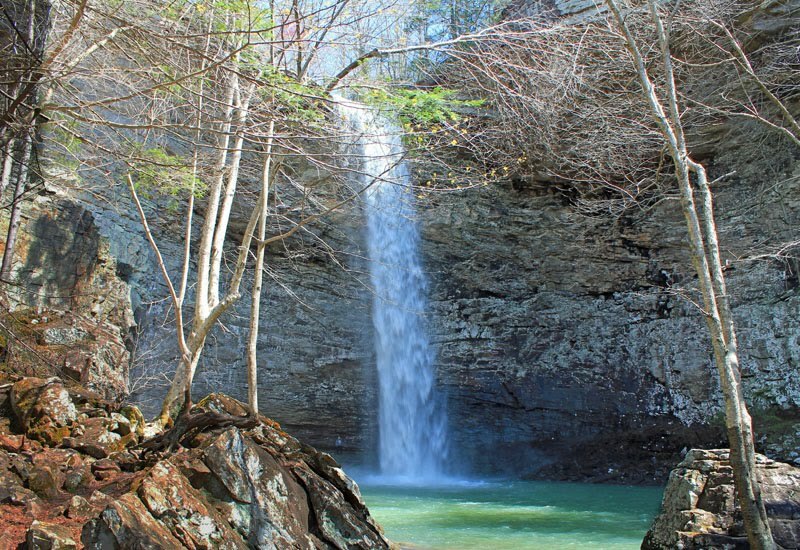 This would be such a fun place to visit and take pictures. I would love to get a shot of my daughter by the giant doughnut, we love everything with doughnuts! The more I hear about Google headquarters and the more pictures I see, the more I want to go! 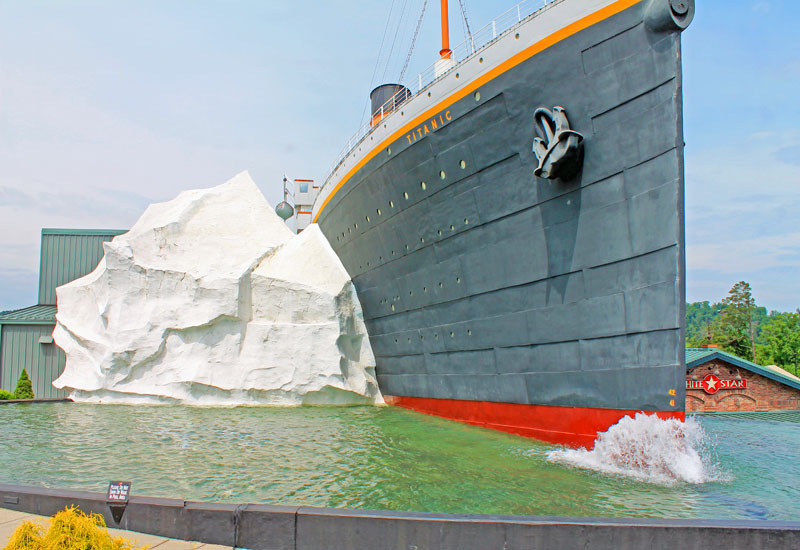 I've never had a desire to visit there but I can now imagine how amazing the experience would be! That is so cool! I never would have guessed. I actually saw this post briefly today in a pin thread or something and wondered where on Earth those Candy Land looking pieces came from. 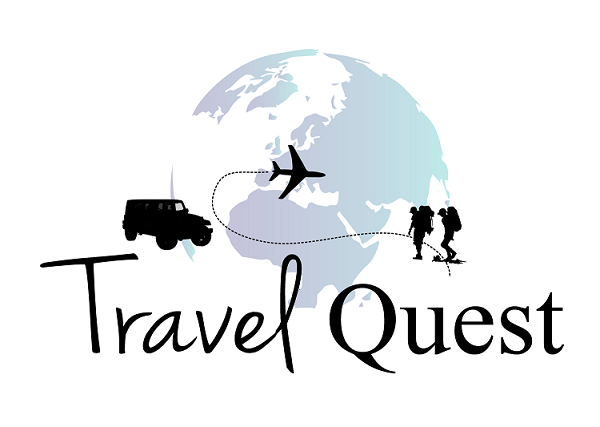 Were you there to visit for any certain reason or is it open for the public to tour? That is cool about Google HQ their campus is open for public.